We’ve all read and heard the praise of the Mets young starting pitchers, but not enough has been said regarding the arms in the bullpen. The Mets have quietly put together a young core, that has become a force, late in ballgames. Sandy Alderson’s goal all along was to build this team around their pitching, and in 2014, that goal is becoming a reality. The starting rotation is stock full with young pitchers such as Dillon Gee, Zack Wheeler, Jonathon Niese and Jacob deGrom. Now add in future pieces Noah Syndergarrd, Rafael Montero, Steven Matz and Matt Harvey, who will return from his Tommy John surgery next season, and you have an abundance of arms to build your rotation around. When you look back on playoff team success in recent years, there is always a common trait, a shutdown bullpen. It isn’t always the dominant offenses, but rather the teams that are able to shut down games by the 7th inning, that make deep runs. That is what the Mets are looking to put together. When closer Bobby Parnell went down, a major concern remained as to who the Mets would use to finish off ballgames. 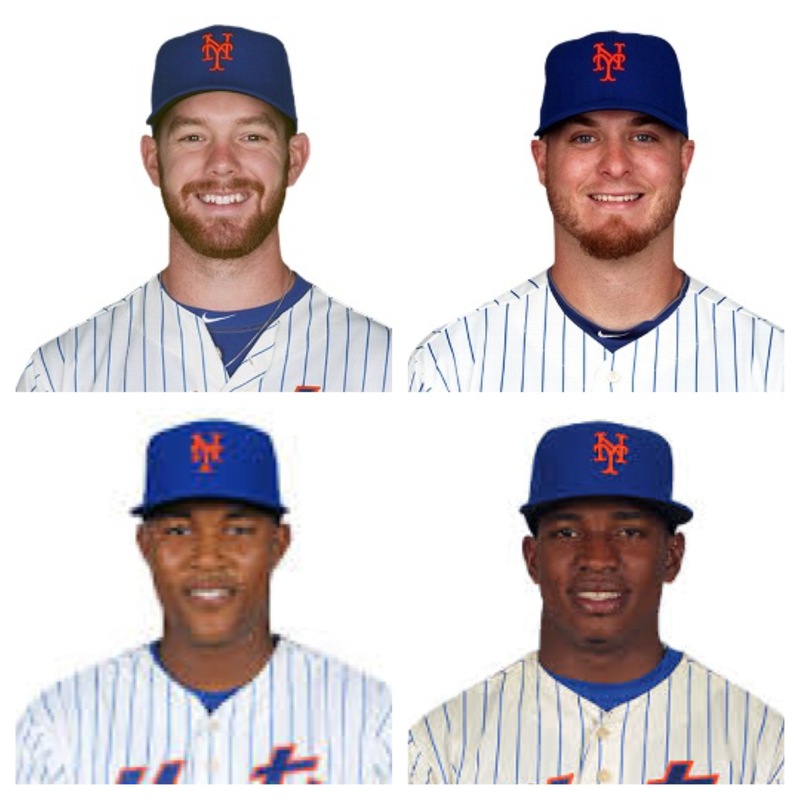 However, the combination of Vic Black, Josh Edgin, Jeurys Familia and Jenrry Mejia, has stepped up and answered that question. Terry Collins now has four quality pitchers to choose from late in the game. Black, who was acquired from the Pirates in the Marlon Byrd/John Buck trade, has really turned his season around. After struggling in spring training to the point that he started the year in AAA, has been nothing short of great since being recalled. Although walks are still a bit of an issue, he has closer quality stuff as a middle reliever. Edgin, has become the teams lefty specialist. He was held in high regard after making his MLB debut two years ago, but struggled to return to form last season. This year he has gotten himself back on track and given the Mets a hard throwing lefty in the pen. Familia, might have the best stuff of the bunch. The big right-hander throws in the high-90’s with such ease and has begun to settle into his role as the primary setup man. Look for him to dominant 8th innings or even eventually take over as the teams closer. Then there is Mejia, who began the year in the starting rotation. After pitching to mixed results to start off the year, Mejia was moved to the bullpen, albeit against his wishes. But, Mejia accepted the decision and quickly took over as the teams closer. Mejia is exciting to watch on the mound and truly enjoys going mano-a-mano with hitters to close out a game. The bullpen suits his style, as he prefers to let loose and give his all from the moment he is handed the ball. Now that the pitching has come together for this organization, it’s time for Alderson to finish the job and put a few more bats into this line up. There are two ways to go about this 1) Trade a few of our pitchers to bring in a power hitter or 2) Spend the money during free agency. Neither guarantees success, but Alderson has to take a chance and make an impact move sooner rather than later in order for this team to take that next step.